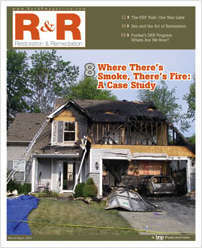 Free Magazine Subscription: "Restoration & Remediation"
Is a unique, all-inclusive resource for reaching professionals engaged in water damage and structural drying; fire and smoke damage; contaminant and pollutant abatement, mitigation and remediation; reconstruction; disaster response and more! Do you wish to receive a FREE subscription to Restoration & Remediation? Which of the following is your firm involved in? In lieu of a signature, BNP Media requires a unique identifier used only for subscription verification purposes. Please answer the following question: How many siblings do you have? Would you like to receive the FREE R&R eNewsletter?